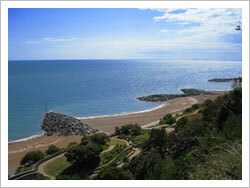 The traditional 'Day Out' will never die as long as people can visit Folkestone beach and promenade. 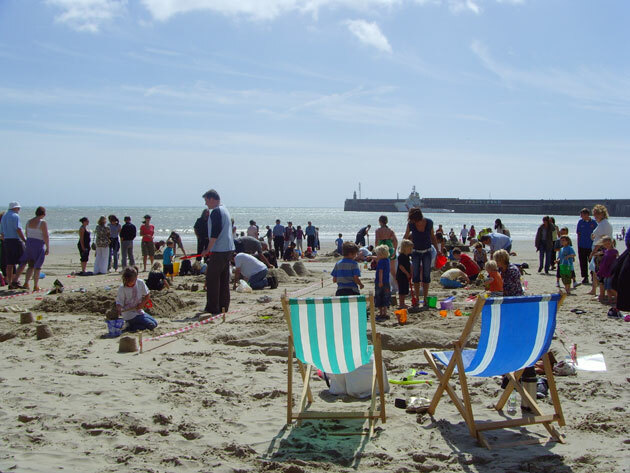 For generations the British have been going to Folkestone for a weekend break or a summer holiday to relax on our famous beach. This will never change. The sound of seagulls soaring above the English Channel. The majestic elegant buildings which grace the wide grassy Leas Promenade. The cobble stoned Old High Street winding its way from the harbor up into the shopping precinct. On a clear day a view of France from the sandy beach. The white chalk cliffs, and everywhere the sea. These are the first impressions which greet the visitor to Folkestone. The sun is shining and the kids are restless. What could be better than a leisurely stroll along the scenic Leas Promenade with an ice cream while the kids play in the sand below. After a day of "Strenuous" relaxation you head back, to the quality accommodation you have chosen for your stay, to freshen up before going out for a dinner of matchless quality in one of the many fine restaurants in the Folkestone district.